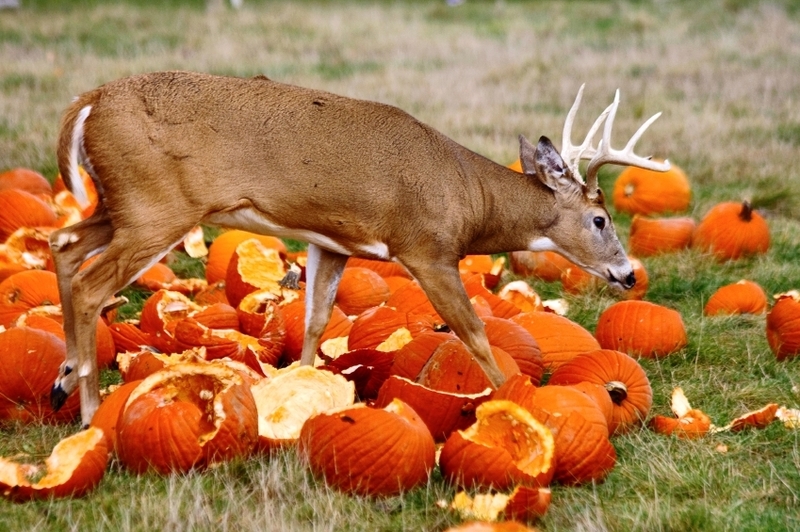 The Pumpkin Spice latte might be Starbucks’ take on the flavors of fall, but for those of us who spend cool days in the stand, the venerable Halloween gourd makes a great accompaniment to a venison feast. If you do things like leave your house or hop on the Internet, you’ve probably noticed that pretty much anything can be made better with the addition of a little “pumpkin spice” flavoring. Pumpkin spice has become the epitome of fall flavors. And it’s such a critical part of American cultural identity that when Hillary Clinton confessed that she no longer drinks Pumpkin Spice lattes because she “saw how many calories are in them,” her “anti-pumpkin-spice stance” made national headlines. So, embrace the pumpkin spice craze this year by serving up one of these autumnal dishes. My husband will readily tell you that I am no gourmet cook. That’s why I like recipes that sound fancy, but aren’t all that difficult. This beautiful dish from Meredith Steele at In Sock Monkey Slippers fits the bill. It may take some time, but the results are worth the effort you put into bagging your entrée. Why just cook venison and pumpkin together when you can cook venison and pumpkin together in a pumpkin? Plus, if you use a pumpkin as your cooking vessel, that’s one less dish you have to wash. This stew from The Post-Standard’s Jim Commentucci uses apple-cider-marinated venison, sausage and pumpkin sautéed in butter and maple syrup to perfectly capture the flavors of autumn. This is the kind of dish you prepare when your mother-in-law is coming over and you want her to forget that time you tried to make biscuits from scratch and instead just set your oven on fire. Oh, wait — I think that’s just me. Like the Pumpkin Spice latte, this dish from Edible Green Mountains features cinnamon and cloves, with a dash of allspice. Unlike the coffee drink, however, it includes venison, making it 1,000 times more awesome. Topped with plain yogurt and roasted pumpkin seeds, this stew is the perfect way to take the edge off a chilly fall night. Normally, my husband won’t eat quinoa. (This is because he believes it’s some weird, New Age-y alternative to rice that you can only buy at Whole Foods.) But there are very few things that venison can’t make better. Just check out this recipe for Quinoa and Venison Stuffed Pumpkin from This Mama Cooks. It combines quinoa, tart cherries, ground venison and butternut squash in a sugar pumpkin. That’s right — another recipe where you get to bake everything in a pumpkin for an impressive, Thanksgiving-worthy presentation. You can swap the cherries out for cranberries, if you’d like. And, yes, you can replace the quinoa with brown or wild rice if that sounds more appealing.